The Cute Woodland friends in this bulletin board will give students a warm and Furry welcome back to school! Woodland animals such as the Fox, bear, hedgehog, bunny, Raccoon, Owl and more are perfect friends to start off the school year, and welcome your new troop of student "campers." 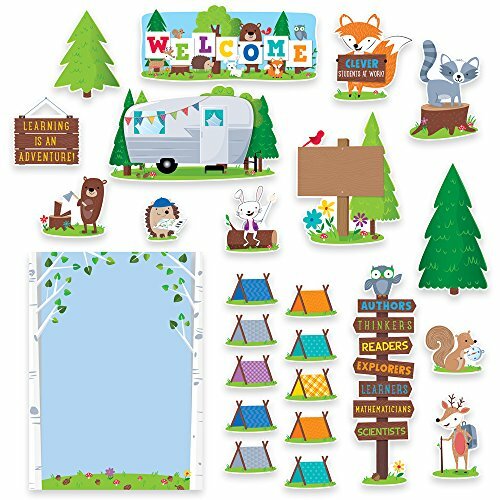 this 51-piece set features 1 welcome sign, 1 Large Vintage trailer, 36 student pup tents, 6 Woodland animal accents, 2 Large trees, a blank wood sign, an Owl signpost accent, a "clever students at work" accent Fox, a "learning is an adventure" sign, and a blank chart. 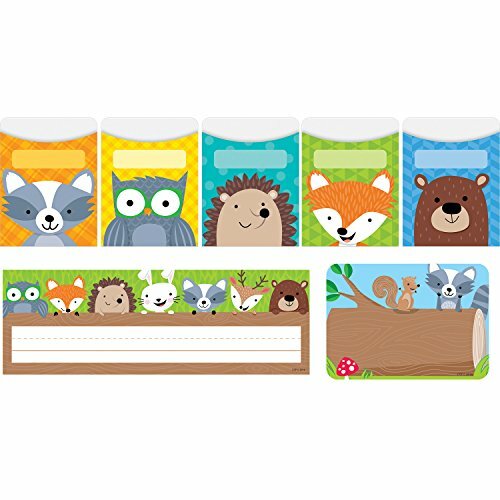 This Woodland friends welcome bulletin board set is perfect for use in a variety of classroom displays and themes: science, nature, outdoors, animals, and camping. Pieces range in size from 17" x 7.5" to 5.75" x 3.75" welcome sign measures 17" x 7.5" Large Vintage trailer measures 16.5" x 9.75" student pup tents measure 5.75" x 3.75" blank chart measures 17.5" x 24" bulletin board set also includes an instructional guide with bulletin board ideas, classroom activities, and a reproducible. Coordinates with other Woodland friends products. Use the student pup-tents for a variety of content-related activities such as sight Word memory games, Word family matching, and number identification activities. These fun pup tents 6" designer cut-outs are great for highlighting student work on a bulletin board and for cubby tags. Perfect for use in a variety of classroom displays and themes: science, nature, outdoors, animals, and camping. They could even be used for your literature and poetry bulletin boards. Consider this quote from Robert frost's poem, "the road not taken": two roads diverged in a wood, and I-- I took the one less traveled by, and that has made all the difference. 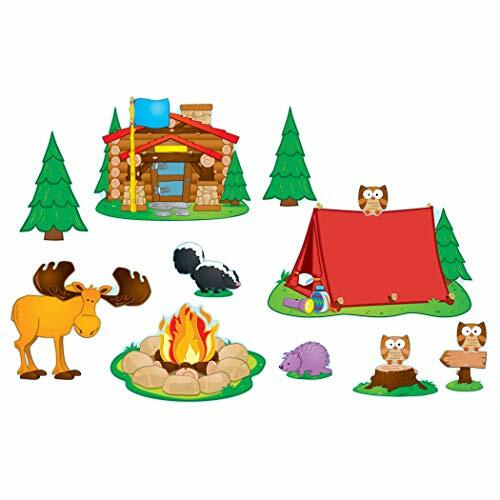 6 each of 6 designs 36 pieces per package approximately 6" coordinates with other Woodland friends products. These cut-outs are a fun accent on bulletin boards, classrooms, hallways, offices and common areas! the 6" size is perfect for crafting projects, displaying photos and work, making covers for books, seasonal/holiday decorating, classroom organization/labeling and more! Getting organized doesn't have to be boring! add some style and color to walls, Bulletin boards, Doors, or offices. This WOODLAND friends name plate features cute WOODLAND creatures (owl, Fox, Hedgehog, rabbit, raccoon, deer, and bear) peeking out from behind a log. 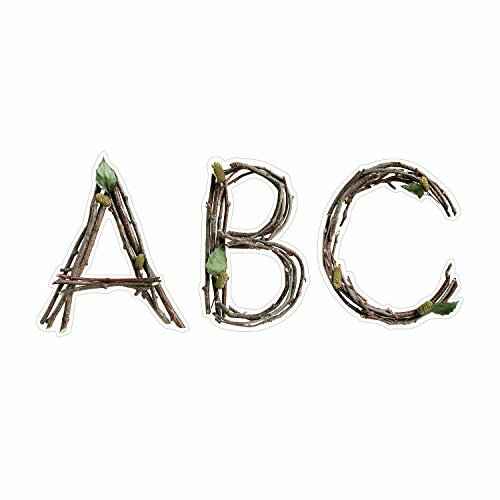 These cute WOODLAND friends labels are perfect for name tags and for use as labels around the classroom. Use them as name tags for the first day of school, field trips, open house and back-to-school Night, parent visitations, Class parties, new students and more! or use these colorful labels to organize your classroom. They are perfect for labeling storage bins, folders, binders and cubbies. Perfect for use in a variety of classroom displays and themes: science, nature, outdoors, animals, and camping., Woodland friends name plates: name plates are 9½" x 3_", 36 name plates per package, Woodland friends labels: self-adhesive, 3½" x 2½", 36 per package, Woodland friends library pockets — standard: 7 each of 5 designs, 35 library pockets per package. This fun, outdoor-themed bulletin board set includes: 1 header (16.25" x 9.75") 1 cabin (16. Charming toadstools give this WOODLAND friends birthday mini Bulletin board a whimsical look. The seasonal toadstool "cupcakes" and woodland-themed candles can be displayed atop a cute tree stump decorated with birthday pennants. Display the festive happy birthday! Headline, the 12 month toadstool cupcakes, and the student candles as a playful year-long Class birthday Bulletin board. Have students use the data from the birthday display to create a Class birthday graph. For smaller spaces, display the happy birthday! Headline and place the current month's cupcake on top of the tree stump with the corresponding student candles. Use the blank Fox Sign to write a birthday message, post a photo of the student whose birthday is being celebrated that day, or write a fun fact about the birthday month. 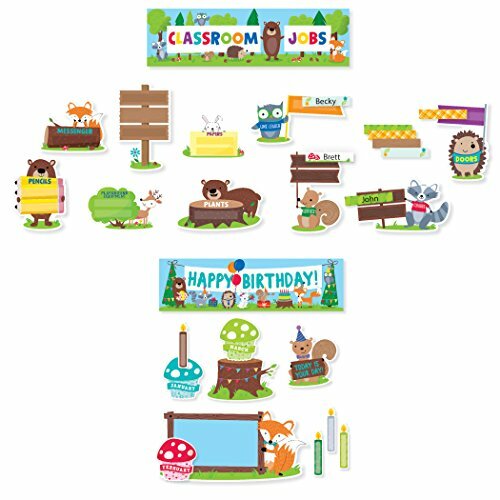 These fun-loving critters will help promote cooperation and classroom responsibility in this charming WOODLAND friends classroom jobs mini Bulletin board. Pre-cut slits on job cards make attaching names a breeze. 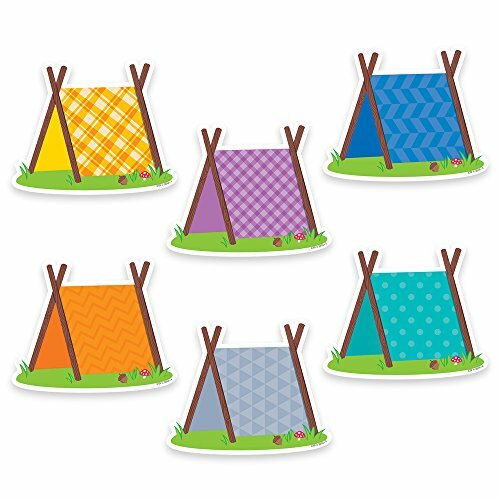 The playful designs are perfect for a variety of classroom themes and displays including camping, nature, outdoors, science, animals, and more. This patterned pine trees bulletin board set includes 3 large patterned pine trees in three different designs: Plaid, polka Dots, and Green leaf. 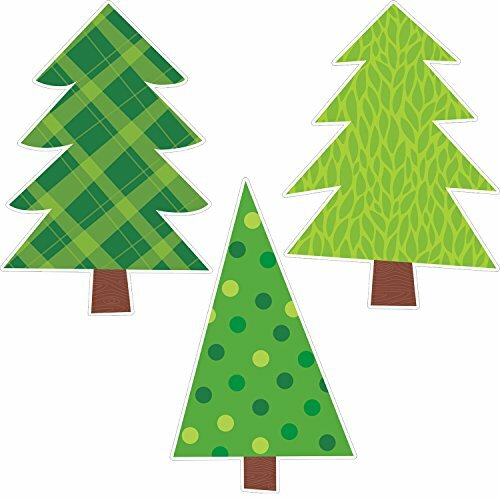 These evergreen trees are perfect for adding a dash of Woodland charm to bulletin boards, classroom doors, hallways, and seasonal bulletin boards! 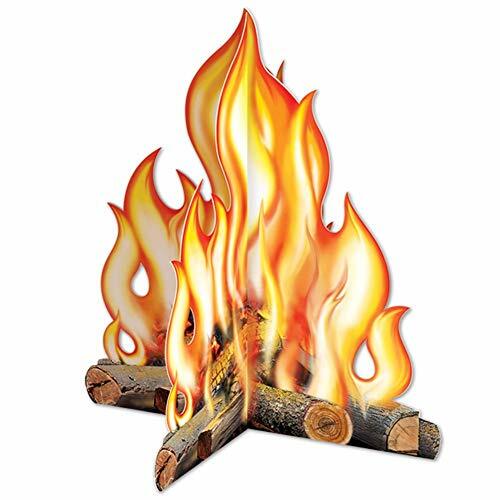 great for use with a variety of classroom themes including the outdoors, nature, animals, camping, and more! tip: create a Winter bulletin board by gluing puffy cotton balls or small crumpled up pieces of paper to the ends of these trees to create a Winter scene. OR have children create small paper snowflakes. Subscribe to the new Goodful channel: https://bit.ly/2IOhgqk Check us out on Facebook! - facebook.com/buzzfeednifty Credits: https://www.buzzfeed.com/bfmp/videos/61331 MUSIC Sunny Stroll_Full Licensed via Warner Chappell Production Music Inc. Check us out on Facebook! - facebook.com/buzzfeednifty Credits: https://www.buzzfeed.com/bfmp/videos/61331 MUSIC Sunny Stroll_Full Licensed via Warner Chappell Production Music Inc.
Teachers worked tirelessly during the summer to prepare their classrooms. Our teachers decorated their classrooms by using one of 6 themes: Fairy Tales, The Circus, The Rainforest, The Farm, The Ocean, Space, or Camping.